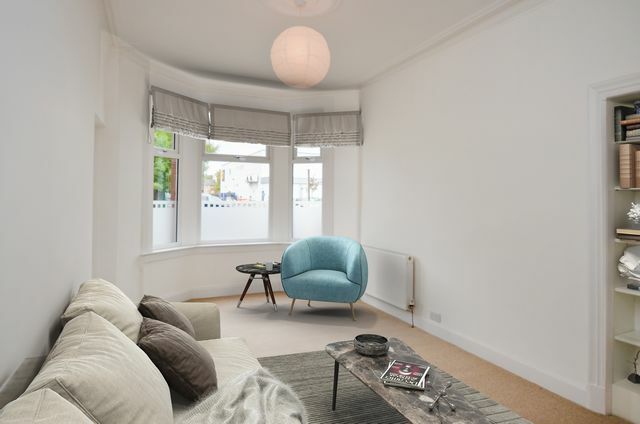 The living room has lovely bay window and leads through to the kitchen area with appliances provided- recently painted in fresh white the flat feels clean and fresh throughout. The bedroom faces the rear communal garden and is a lovely quiet spot. Bathroom has shower over bath. Double glazing. GCH. Secure entry. Attractive communal stair. Small patch of front garden.